This colour story just goes to show that even when I’m not working, I’m working. Some people like to play Candy Crush on their phones, I like to play Blenduko. 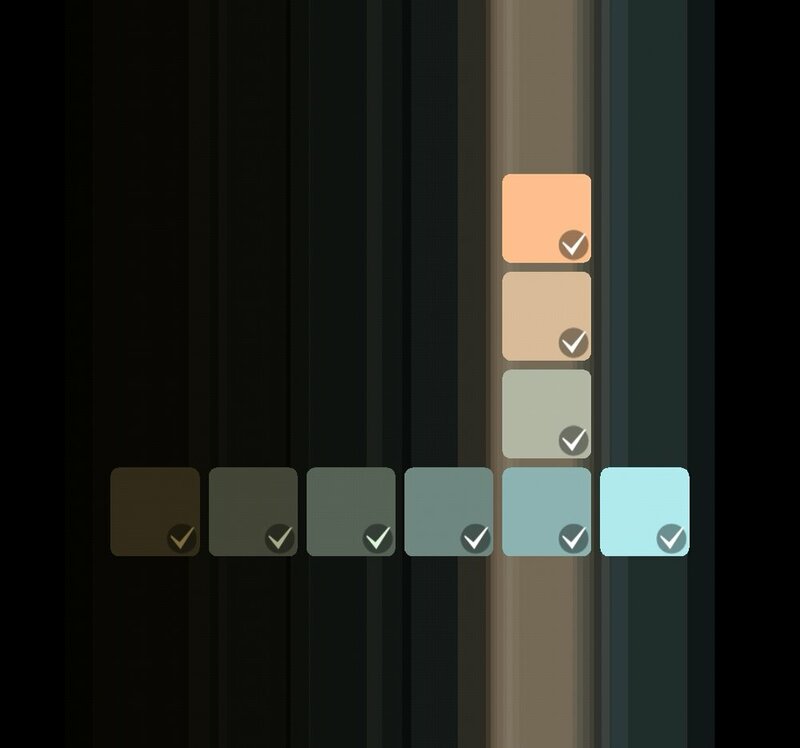 Blenduko is an app to create harmonious colour palettes, and when I see a particularly pretty one, I take a screen grab. I’ve got a few lost on my phone’s camera roll so I dug one out to add to my library of colour stories. Discovering unique colour palettes is one of my favourite things to do. I collect inspiring colour ideas from many different sources; photos of nature, Pinterest images, interior magazines and paint colour chips are just some of the ways I find ideas. This means I have many photos, screen shots and magazine tear outs all over the place. To help organise my favourite colour combinations, I’ve created a library of colour stories. I’ll share each one here on my blog alongside the original source of inspiration in the hope that it helps you choose colours for your creative projects and maybe even your branding. For my first colour story I’ve pulled the colours from an original piece of art that I created whist playing around with acrylic paints. I just love the combination of colours on this one. That mustard and greyed blue works perfect together especially with that touch of soft pink. I’ve overlaid some of my botanical illustrations to see how the colours interact with each other. I hope you like it too.